France and England - later Great Britain - were at war, on and off, from 1689 to 1815. The contest began in the late 17th century, as England and other European states tried to contain the power and ambition of Louis XIV, and ended with the defeat of Napoleon at the battle of Waterloo. Both France and England had overseas possessions in North America, the Caribbean, Africa and India. Thus a European power struggle evolved into a series of world wars as each side tried to extend its empire at the expense of the other. At stake were extremely valuable trades - West Indian sugar, African slaves, Indian silks and spices, and American furs and fish. These were maritime wars, in which the exercise of sea power played an ever increasing part in deciding the eventual outcome. Engraver unknown. From Louis Armand de Lom d'Arce, baron de Lahontan. Nouveaux voyages de Mr. le baron de Lahontan dans l'Amérique septentrionale. Found in D.W. Prowse, A history of Newfoundland from the English, Colonial, and Foreign Records, 2nd edition (London: Eyre and Spottiswoodem 1896) 212. As a result, the Newfoundland fishery figured in many of the wars and, perhaps even more importantly, in the diplomatic negotiations which restored the peace. As a nursery for seamen, as well as a source of national wealth, the fishery was so highly prized by both countries that neither would willingly give it up, either in whole or in part. 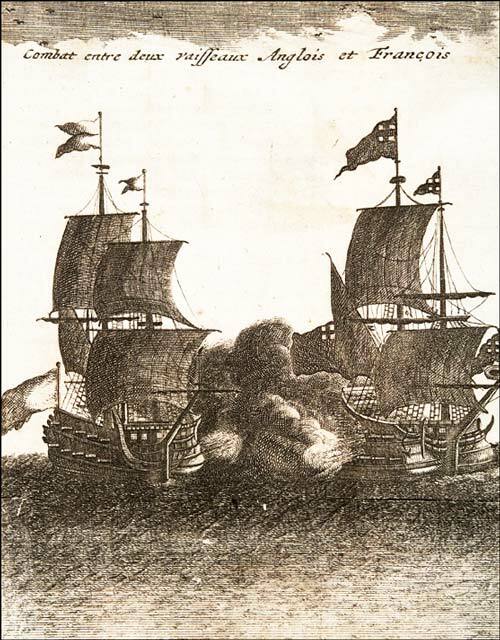 During attempts in 1761 to negotiate an end to the current war, members of the British and French governments independently ventured the same opinion, that the Newfoundland fishery was more valuable than Canada and Louisiana combined (or about two-thirds of the continent of North America) "as a means of wealth and power." Such convictions influenced the policies adopted by the two countries towards their respective fisheries and the strategies developed for their defense, as well as Anglo-French diplomacy throughout the 18th century. As a result, the course of Newfoundland history both before and after 1815 was profoundly affected by the contest between the two states.